Capcom is on a roll as of late and their latest release has some impressive numbers to share. Devil May Cry 5, which released merely a couple weeks ago has sold extremely well. According to an image posted by Twitter user, @Delriach from a GDC talk, Devil May Cry 5 has sold over 2 million units! This is fantastic news for the action title and it adds to the fantastic list of games Capcom has in their portfolio. There were also some interesting tidbits of information at the talk, like how Capcom invoked emotion with the Nero character and how the loss of his arm (spoilers) correlates to that emotion. Devil May Cry 5 is already a beloved game, with a Metacritic score of 87 currently, as well as much praise from fans on Twitter and across the internet. We loved it here, too, and you can check out our review here. The variety between the different characters is enough to make it so that there is hardly ever a dull moment and the action is over-the-top, which is why it’s so memorable. Plus all the weapons are diverse and really encourage experimentation. This is an action game done right and it’s no wonder it’s sold so well. 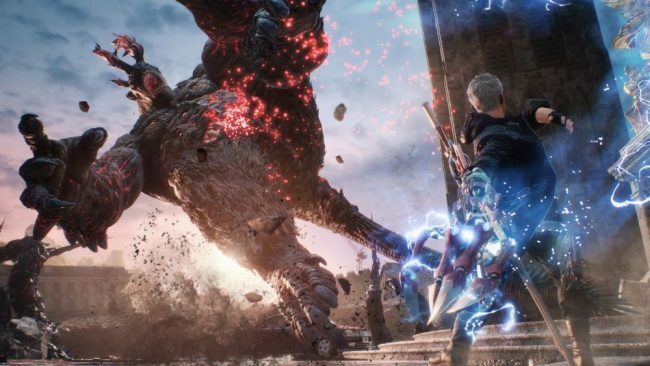 The total number of sales across all Devil May Cry games currently sits at 17 million units, but it’s unclear if Devil May Cry 5 is included in that amount as of now. It’s also good to keep in mind that these numbers are across all platforms and not just PlayStation. This news comes after reports that Resident Evil 2, which launched earlier in January, has sold over 4 million copies, another tremendous milestone for the company. Bravo, Capcom! Does the success of Capcom and Devil May Cry 5 surprise you? Have you played it? Let us know!